Truth be told, ironing is not fun. It’s one of those things that we tend to avoid until until 2 minutes before heading out the door and suddenly you have no idea where you stashed the iron. Time is precious when you’re busy with a whole house, and frankly, people who iron t-shirts just stress me out. What does that have to do with anything? Easy: the steam produced by your shower will reduce the wrinkling on your clothes. All you have to do is close the room hermetically, hang your wrinkled clothes on the shower rod and take a 15 minute shower. 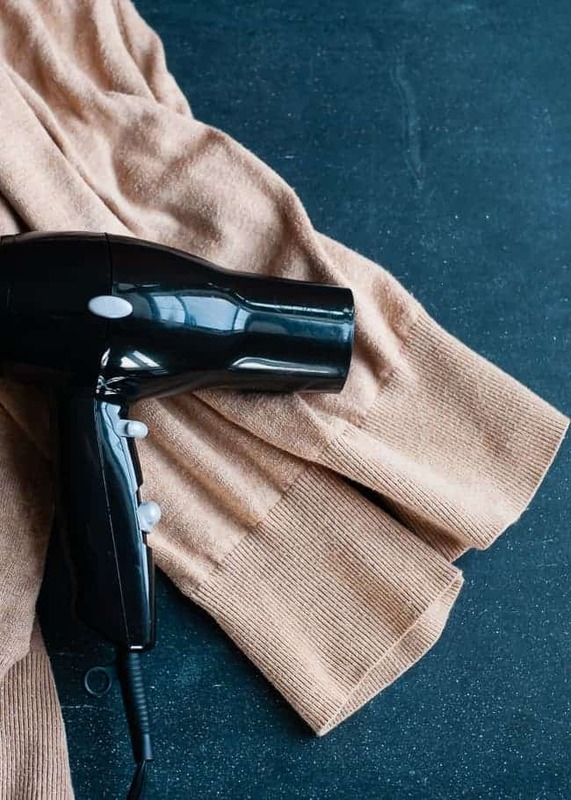 If you have a hair dryer at hand, then you’re good to go! Hang your cotton clothes and blow dry them from a 1-2 inches distance, on high heat. Boil water in a metal pot, spill it out, then use the hot bottom of the pot just like you would an iron. Oldest trick in the book! Put the wrinkled items into the dryer together with a damp sock or washcloth. 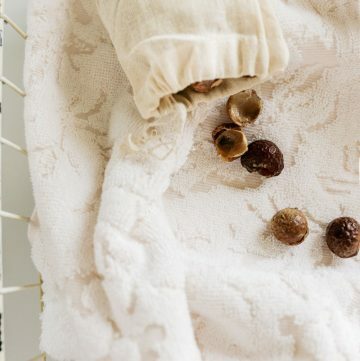 Set on low heat for about 15 minutes, then hang to dry wrinkle-free. If your only tool is your flat iron, use it freely on your clothes! Just watch out not to burn anything by adjusting the temperature. Get a wrinkle-removing spray from the shop, spray and smooth out the clothes while they’re dump. This works especially well on cotton blends. 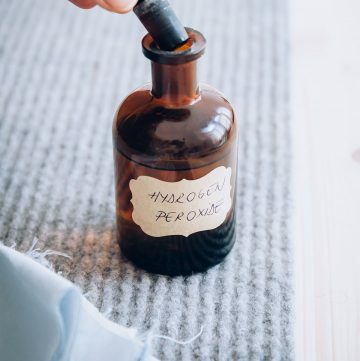 Our favorite good-for-all vinegar can help remove wrinkles too! 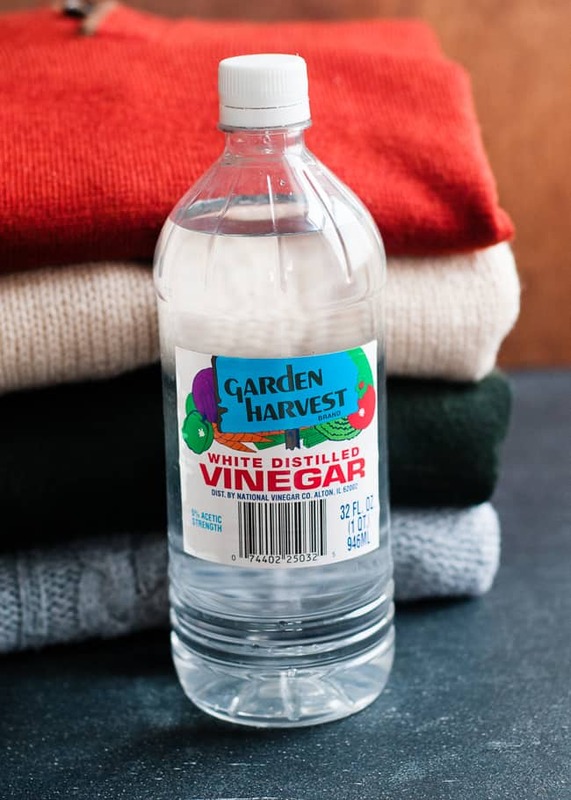 Just spray 1 part vinegar to 3 parts water on your garments and let them air dry. Hold a steaming tea kettle about a foot away from the item you want to unwrinkle, and watch the creases disappear. Press a damp towel on top of your wrinkled item (laid on a flat surface), and press down to smooth the creases. 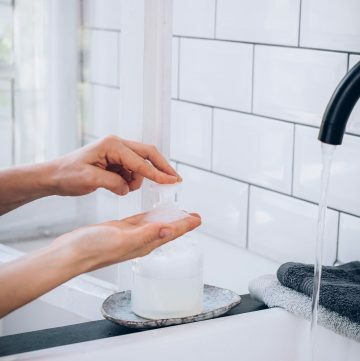 If you’re ready to put some physical work into it, spray some water on your garment and use your hands to slap or shake the wrinkles away. Thank you for all the suggestions! Very helpful. Tried most. I find that flat irons and pressers do best for me. 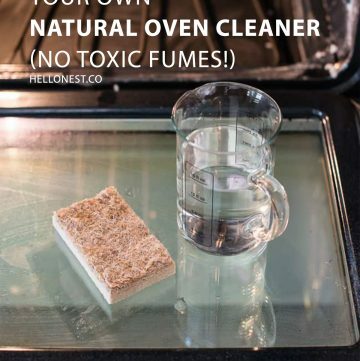 These iron-less tricks are really helpful. 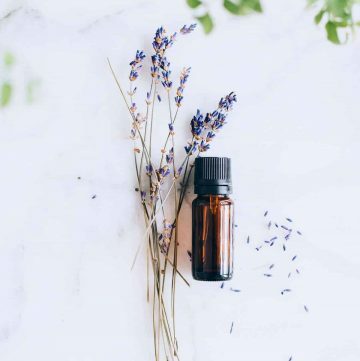 I prefer doing the shower method as it’s very efficient and I find it less wasteful but these other methods such as the pot and hair dryer method seem like great ideas to de-wrinkle clothes in lesser time as well. Thanks for posting this!